Koh Samui is the second largest island in Thailand and one of the most beautiful. It boasts pristine white sand beaches, gorgeous tropical rain forests and, for local culture, an impressive 12 meter high golden Buddha. 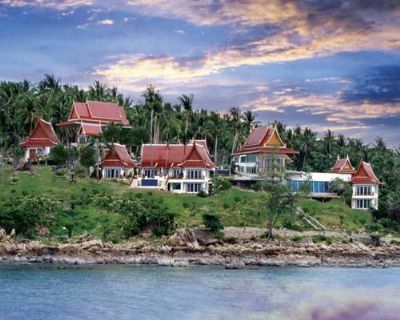 When you find Koh Samui timeshare resales at the Absolute Private Residence Club At Q Signature Spa & Resort, you have the opportunity to buy vacation ownership at this terrific destination. It is the perfect place to relax and enjoy a wide selection of facilities and amenities that are offered at the resort, including authentic Thai massage and other treatments at the world-class spa and a huge infinity swimming pool. Your new holiday home may be a villa with a private pool and deck or a luxury suite. All timeshare villas have beautiful Thai-style wooden furniture, air conditioning, TV and DVD player, balcony or terrace, Wi-Fi, mini-bar and more. Koh Samui has been a desirable vacation destination in Thailand for decades and still maintains its unique beauty and freshness. You will find beach parties that start at noon and last well into the night as well as secluded coves and forests where you relax and enjoy nature. There is even an island just off shore opposite the Absolute Private Residence Club At Q Signature Spa & Resort - to which you can walk during low tide. 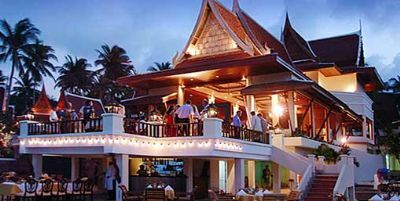 These Koh Samui timeshare resales open this amazing world to you for a fraction of what it would ordinarily cost to have a first class vacation every year. Owing a timeshare is a good way to secure your future holidays at today’s discounted prices. Not only will you have a private home in a desirable location, but you can exchange your villa for a comparable one in the location of your choice. For example, one year you may want to visit Orlando, Florida, the Theme Park Capital of the World, or spend your vacation skiing in Whistler, British Columbia. 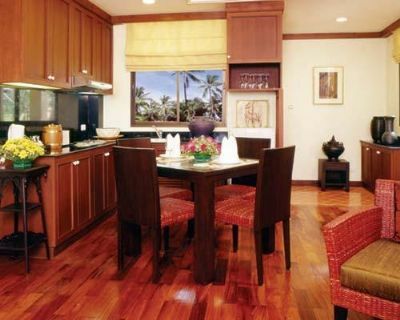 Your condo will be cleaned and maintained so you don't need to worry about that. The Absolute Private Residence Club At Q Signature Spa & Resort is near a wealth of activities such a Thai cooking classes, water sports, beach volleyball and many more. Contact Absolute Private Residence Club At Q Signature Spa & Resort Specialist Today!